Southwark Council has today published a report that publicly confirms its plan to cut down a wildlife area containing dozens of trees in order to build a replacement for the Seven Islands leisure centre. It is a deeply flawed plan for myriad reasons (read the report here, more about the site here and more about the threatened wildlife here). Opponents of the plan have five days to lobby Southwark councillor Mark Williams, who will decide whether to endorse the preferred site proposal, which was devised without any consultation with local residents. It is vital that people email him before 5pm August 12 to oppose the plan at mark.williams@southwark.gov.uk. The upgrading of Deal Porters Way would leave residents of Hothfield Place, Hithe Grove and China Hall Mews unhealthily sandwiched between two major bus routes. 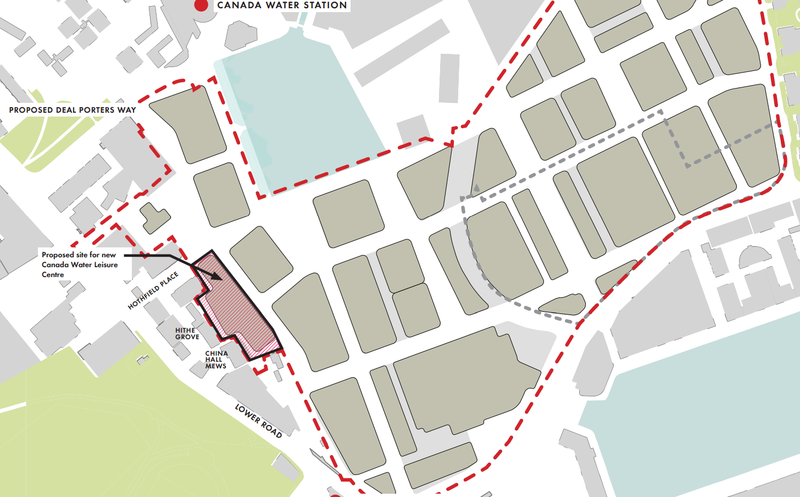 This entry was posted in Uncategorized and tagged Birds, British Land, Canada Water, Canada Water Masterplan, Canada Water West Residents Action Group, Seven Islands Leisure Centre, Southwark Council, Surrey Quays, Swimming, Trees, Wildlife. Bookmark the permalink.